Have you ever been in a place where you’re running your business and you feel you’re in the dark, you feel you’re in limbo? 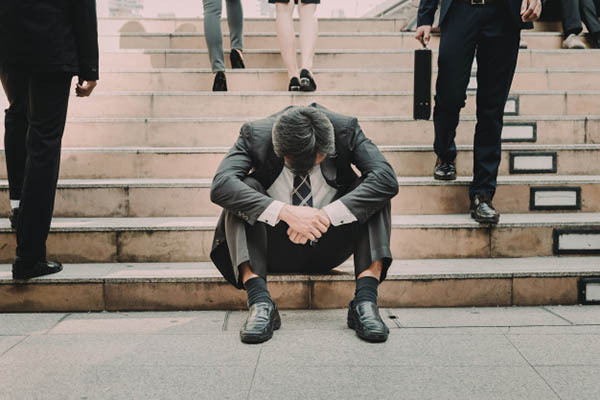 You feel like, “I don’t know where my sales are coming from,” or worse, “I’m not generating enough sales. How do I connect the dots? How do I generate more sales and then know what is having the impact to convert those sales to paying clients?” We have a guest expert who is uniquely qualified to talk to you about these specific topics and a whole lot more. His name is Mikael Dia. He’s a digital marketing expert. He’s the Founder of a software company called Funnelytics. They’re helping entrepreneurs convert traffic into profit. If you’re struggling to generate leads online, struggling to get sales online and/or figure out where those sales are coming from, Mikael can certainly help you with that. He’s someone who scaled several businesses to seven figures. He’s built companies and sold companies. When you hear from him, you’re going to go, “How did a young guy like this do so much?” He’s got this rare breed of an engineering mind combined with digital marketing combined with the hustle of the entrepreneur. Mikael, welcome to the show. How are you? I’m fantastic. Thank you for having me. Mikael, you’ve had all this success over these last few years and you’re a young guy. I want to shift the tone mostly for my own self-esteem. Seeing someone like they have the Midas touch and everything at such a young age, I want to pop that bubble. What would you consider your biggest failure, mistake as you’ve learned and grown and built these businesses? I remember I threw $100 in AdWords to rank for these specific keywords of the Knives Plus review and stuff like that. A couple of days after I put up that campaign for AdWords and it was my very first PPC campaign. I never spent money on ads before. I received an email saying that I’d made a sale. I made my first sale and I was like, “I cannot believe I made a sale.” It was for $5.23. That was my commission, nothing special. I log in to AdWords and it turns out I’d spent the entire $100 to make $5.23. I went from this insane feeling of accomplishment to the complete opposite spectrum. I wasted six months and all this hard work and took these pictures, wrote these articles, did all this stuff and I made $5.23. I didn’t have $100, I threw it on a credit card and that was it. I was like, “This doesn’t work. Something’s not right here.” On top of that, I wasn’t even smart enough to buy the domain for long enough to last until 2012 so it expired in 2011. I never even got that uptick from free traffic, so that one website, in theory, was a failure. I spent all this time. I spent $100. I made $5.23. One of the things that I’ve always had in mind was that failure only exists when you say that you have failed at this particular thing. If you dust yourself off, if you pick yourself up and you say, “It didn’t work the way I thought it was going to work, but I can keep going. I can keep trying. I can keep changing things, learning more and improving upon it.” Failure only happens the minute you say, “This doesn’t succeed, therefore I quit.” I don’t believe that. I don’t have that mindset. I try to keep the mindset that everything is a learning opportunity. As much as it pains you sometimes that you spend so much time working on something and didn’t work out the way you had planned or anticipated. It’s up to you to decide whether or not you want to deem it a failure or you want to keep going and try to improve upon it and get better. When you’re hitting roadblocks, when you’re hitting these areas where you’re running up against failure or these temporary obstacles or whatever, what keeps you going? Why do you keep doing and pursuing that next step, that next level for you? What do you feel is that internal drive that keeps you going? The initial drive was always my father. My dad was the reason at the beginning. My dad has a unique story. He comes from a remote village in West Africa. There’s no running water. It’s what you typically would envision. What you see in infomercials and stuff about Africa, that’s where he comes from. He had to walk a long way in order to get water and all that stuff. He moved to Canada and he got a full scholarship to go to university, one of the only scholarships granted in the entire country of Mauritania in West Africa. He chose to come to Canada and he became the first black senior vice president of ethnicity of a major bank in Canada. He went from literally nothing to more than nothing, to a foreign country and climbing up this ladder and being a senior vice president making a lot of money and doing very well for himself. My motivation as a kid was always, “If my dad can do that and he allowed me to start at this level, then I’m disrespecting him by not going higher than what he’s ever accomplished. I’m disrespecting myself too by not pursuing that and trying to get better and trying to keep improving.” If he was able to accomplish that, then I need to be able to accomplish something bigger. I got a starting point that he never had. That was my drive as a kid. That was a thing that always drove me. As I’ve gotten older and went through ups and downs, trying things and failing at things, building successful companies and then also hitting low points within my successful companies, I’ve realized that the drive is inwards. It’s like, “I want to keep getting better and I never ever want to get to a point where I feel I’m stagnant. I feel I’m not evolving. What fulfills me from my internal core being?” There are four core things that fulfill me. Number one is I love to build stuff. I love to build these things and see them come to fruition, have the strategy and this plan and then take the steps in order to build it. Number two is I love to advise people. I love to have conversations that give people that a-ha moment. Number three is I love to build a life that allows me to have freedom. It allows me to do what I want when I want. If I can have that freedom, if I can build it, I can advise. Number four at this stage in my life is investing. If I can invest my time, my energy, my money into something that I believe which brings it full circle, I feel this sense of fulfillment. Everything that I do revolves around these four core things. When I’m working on new projects when I’m working on new things, I always look at it and I say, “Is this going to fulfill me in the morning? When I wake up in the morning, am I going to build? Am I going to advise? Am I going to have freedom? Am I going to be investing? If so, then I’m going to go all in because I know that fulfills me. I’m not stagnant and whatnot.” That’s where my motivation comes from. Speaking of motivation, as your reading right now, you can get a small glimpse of Mikael’s passion, his upbringing and what he is driven to do. Speaking of his number two focus of being in conversations and being in advisement to help others get an a-ha moment, will you allow us to help you get an a-ha moment? 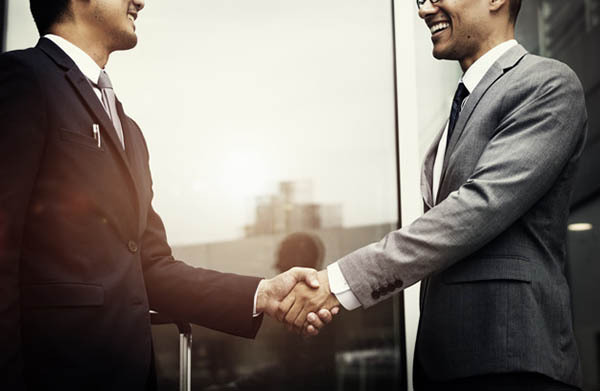 Will you allow us to advise you on how you can profit more by generating leads, sales and clients? Be able to track them through and through to be able to not have a $100 investment turn into a $5.23 return. How would you like to have wisdom on how to look at things, so you can have a $1 investment and turn that into a $1.10, $1.20, sometimes even five times as much? I’m curious about all these fascinating things. I want to ask about the t-shirt business you started in 2009 with your friend and other things. As you look at business now, you seem to have a unique look at the business. I almost picture you like we’re watching the movie, The Matrix, and you see all those numbers that are going up and down the screen and you can pinpoint them quick and easy. If you were looking at starting all over again and you were going to build your next six-figure business to start with, before you get to a million, you’ve got to get that first six-figure revenue stream in. What would you do to start that process? What would be your focus that would also likely translate to a lot of our readers? Failure only exists when you say that you have failed. There are three things I would do. The first is the dream client. Who am I targeting? What’s my customer? What’s the niche that I’m going into? What’s the real core problem that I’m solving within that niche? The second thing is the offer. I know my dream customer. I know who I want to target. I know the niche. I understand the core problem that I’m solving. The question comes down to what the offer that I’m going to put together in order to help them solve that core problem. A lot of times, people think about their offers as a product or a service. That’s wrong. You can’t think about your offer as a singular product or a singular service. 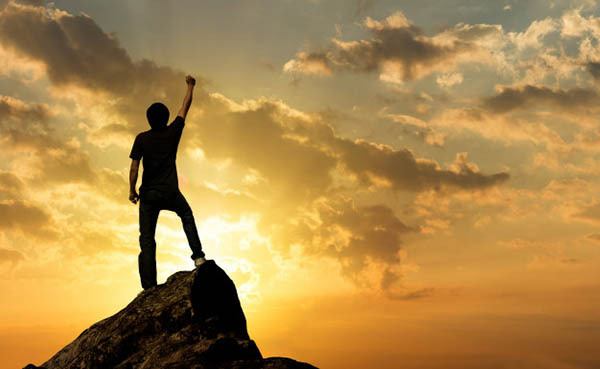 That single product or that single service will not necessarily help your dream customer solve the pain that they want to solve or reach the mountaintop that they’re trying to reach. What is the core problem? If it was up to me, what would be all of the things I could potentially give them in order to solve that core problem or reach that core desire? That’s the second thing. The third thing is bridging the gap. That’s where the funnel comes in. What is the system? What is the machine or sales funnel that you use in order to attract and target this dream customer and sell them on this offer? Those are the three things that I would be focused on are first your dream customer and their core pains/core desire. Second is the offer that is going to help that dream customer achieve their core desire or solve their core pain. The third is what is the funnel that is going to target that dream customer wherever they are and turn them from a stranger into a customer? Did you build your software platform over many months? We started the getting free leads in December 2017. We launched the business in February 2018, but I started building the actual tool at the end of 2016. I was my dream customer. I was solving my core problem. That’s where I found that inspiration for that tool is I was still looking at a dream customer but the dream customer was me. I wasn’t thinking externally in that particular stage. The thing that would solve my core problem, which is how do I understand my metrics? How do I understand what’s working, what’s not with my funnels? The solution to that was Funnelytics in my mind. You built a company. You sold it. You had the luxury to have an exit and then take some time to think about what you want. It’s not like you started exploring for you. Why are you doing what you’re doing now? Why is this the solution to solve the problem? There are a couple of things I want to mention related to the exit. Number one, it was a Mandarin language school that we built. The way that it worked was I was there with a business partner. When we exited, I only owned a small percentage of the actual company. I was the marketing guy. I was a partner in it. The money was awesome, but what I realized was that I had figured out how to make these sales funnels work in a market that I knew literally nothing about. If I could find that dream customer being somebody who wants to learn Mandarin and I could build an actual system to convert them from a stranger into a customer. The offer was Mandarin classes, Mandarin lessons. In my mind I was like, “I can do this for anything. I could probably build a system for most types of offers and businesses.” I started developing this drive around trying to figure out if it’s this customer and this offer, what’s the funnel that I have to build? I started consulting various businesses and people around their offers and their dream customers. I started seeing that I was getting pretty good at it. I was getting them good results. That was my first seven-figure business. We grew that agency. Serving these people what we would do is build them their funnels. Always throughout that entire process, the biggest roadblock was always looking back at your numbers and saying like we’ve set up ten campaigns. We have Facebook Ads running. We have Google Ads running. We have LinkedIn Ads running. We have all these things in place. We’ve set up this machine, this funnel and it’s like, “Where are people dropping off? Where are they converting to? Who are the ones that are getting to my end goal versus the ones that are dropping off?” That was always in the back of my mind. That was always the thing that I was like, “I want to solve this problem. Wouldn’t it be cool if I could visually see this?” That’s where the idea came from. What drives me? It’s solving this problem. It’s solving these problems that drive me. We’re on a mission to solve this problem and so far, so good. You can’t think about your offer as just a singular product or service because that will not necessarily help your dream customer reach the mountaintop that they’re trying to reach. You built up tens of thousands of users in a test phase, which is awesome. As you look at this, what do you see? What are the biggest mistakes you see a lot of entrepreneurs make? You’ve got all these hundreds and thousands of data points to look at as it relates to your platform. What do you see as the biggest mistake that people make in running their online business? It depends on the phase of business that you’re in. If you’re starting off, if we’re taking the scenario of, “I’m just starting,” the biggest problem is that most people try and build their sales system before they’ve even proven their product market fit. They don’t know what their real messaging is. They don’t know what is the real problem that they’re solving for their audience. They instantly say, “I need a funnel. I need to set up my webinar. I need to do whatever it is in order to sell this thing,” but they’ve never gotten anybody to buy it yet. You can’t skip that hustle face. You can’t skip that promotion phase where it’s like, “I’ve got this offer. I know this is my dream customer. I’ve got to figure out the right angle, what is the right messaging? What is the right way to position it so that it hits?” You can’t build your marketing pieces and your marketing materials, your copy without knowing what that is. That’s the first problem that people face. 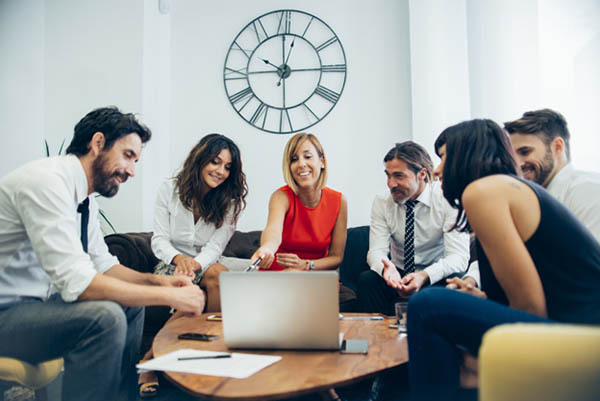 They hear things like, “You’re one funnel away.” They hear that they could be an overnight success and they instantly assume, “All I need is an offer and I need a dream customer. I put in my funnel. I’m instantly successful.” It doesn’t work that way. You first have to prove that people want this offer. I’ll give you a specific example. We’ve launched something called our Agency Accelerator Program, which is a program that helps startup agencies scale. I could have easily tried to continuously sell it. Instead what I did is I said, “I’m going to limit it to 30 people this first round and I’m going to go and hustle and sell these 30 spots. I’m going to test different positioning, different angles and different ways to pitch it. I’m going to sell these first 30 spots. I’m going to work with these 30 people, make sure that they get good results and make sure that they enjoy the program, tweak it, make it better. Now I have all my ammo and all of the stuff I need in order to build the funnel so that I can sell it consistently on this evergreen basis.” That’s the biggest problem when you’re first starting out. Mikael, you’ve shared a lot of wisdom. I’ve got a few other things that I do want to dive into, but I want to give a chance for you. If people want to go deeper with your strategy, your software, get in your world to know more about you. How do they reach out to you? Where would you direct them to go? The easiest place is to go to Funnelytics.io. You can create your free account and we have two levels. We have a free mapping tool where you can map out your marketing campaigns and whatnot. On the second level is our Funnelytics Pro, which allows you to analyze your marketing data, look at the analytics and all that goodness that gives you the ROI. Once you enter and you create your free account, you start entering our world. You’ll join our community inside of Facebook. We’ve got multiple six and seven figure entrepreneurs in that community and it’s growing well. That’s where the core essence of our content, our value and our strategies come in. I would start there. If you want to go deeper, you’ve gotten a glimpse. You’ve got a tip of the iceberg with Mikael. I encourage you to go deeper with what he’s shared. If you’ve ever felt you wanted to get more wisdom around your online strategy as well as being able to track it, where the rubber meets the road, to get out of limbo, to eliminate the uncertainty, to eliminate being in the dark. 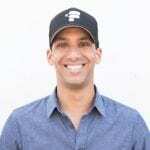 Go check out what he’s doing at Funnelytics.io. You can set up a free account. You can get the Pro account, which I’d certainly recommend as well. You won’t be disappointed with all the great things that he’s got going. Mikael, as you look back over the last many months for your business, maybe working with some of your clients. What would you say would be one to three strategies for you that you would say, “These have been the biggest breakthroughs,” that could be if someone implemented them could be worth six maybe even seven-figures or more for what they’re doing? Success does not work overnight. You first have to prove that people want your offer. I’ve been on an incredible journey over the past many months. I’ll give you a glimpse of what I experienced. At the beginning of 2017 in January-ish, my agency was at its peak. We were doing about $150,000, $160,000 a month in revenue consistently. February 2017 was also one of the biggest low points of my life. What had happened was I went to San Diego for ten days. It was the first break that I had since starting my agency. I was in this high. My wife and I had our baby girl. She was born in October of 2016. My agency was rocking in terms of sales. I was building my team. I had a team of nine. There were still a lot of fundamental operations things that weren’t solid within the agency that we needed to fix. Overall, things were going well. Something happened when I went to San Diego. I literally was there with my first trip with my wife and daughter, and my wife and daughter spent the entire ten days walking by themselves up and down the beach while I was on Skype calls, on email. My team was calling me. My clients were calling me saying that the reason they signed up was that they wanted to work with me. At the end of the trip, I remember my wife said to me, “Mikael, I love you. I support you and I’m glad everything’s going well from a financial standpoint, but I wish we didn’t come on this trip.” That was right in the face. She was right. It was hell. Everything that was going on with the agency was not fun. I wasn’t fun to be around and I didn’t enjoy. It made me realize and it made me have to sit back and say like, “Why am I building this agency? Why am I building this business? What is it for? If one of my core things is freedom, I’m not giving myself much freedom right now.” A big part of that problem was I was the bottleneck within my own business. I had not figured out how to transition from being the promoter/marketer, the person who’s doing the selling and all that to being the CEO and building a company. I had all these people who were 100% dependent on me. That was one of the biggest shifts that I’ve experienced over the course of 24 months and as I’ve built this company and we’ve done relatively it all depends. Since February 2018, over $1.3 million in sales in eight months, which has happened very fast. The biggest thing was me removing myself from being the central peg to being the CEO. It’s having the right team and the right people in place and making sure that they have systems and they’re more autonomous as opposed to me being the end all, be all. From that standpoint, people need to realize where you are in your business. Are you doing it because you still love it? Are you doing what you’re doing because you’re still happy and excited? Are you doing it because you’ve been in this routine for so long that you’re okay with dealing with the pain? You have to ask yourself that because at the end of the day, we don’t become entrepreneurs to become slaves to our business. We become entrepreneurs because we want freedom. We want to carve our own path. We don’t want people to tell us how to live our life. We want to do what we want when we want. That’s the ultimate goal. You have to sit back and ask yourself like, “Are you in the right space?” I gave up a seven-figure agency. I shut it down because it wasn’t worth it. That was probably the biggest thing that has happened and the biggest shift that happened for me over the last many months. That would be the biggest piece of advice I would give people. Make sure you’re doing it because you want to, because you’re enjoying it. It’s a great mirror test, a great check-in. It’s identifying who do you want to be a hero to. I heard this from Dan Sullivan, “Is this thing that I’m doing going to fascinate, motivate me for the next 25 years? Make the decision based on that.” Speaking of your wife and your daughter, do you only have one child? Yes, she’s two years old. If you were going to turn to your wife now and you were going to thank her for how she’s shown up to support you to be this visionary leader, this creator, this genius entrepreneur. What would you thank your wife for and how she’s shown up to help support you on this journey? People need to realize where they are in your business and whether they are really doing it because they still love it. I thank her all the time, to be honest. I would thank her because it’s not easy being an entrepreneur. It’s not easy being in your own head. The upside of being an entrepreneur is that you carve your own path. The downside is that it’s your own path. It’s your own way and nobody can make it work but you. It requires somebody who’s going to stand by your side, believe in you, encourage you and make you feel like you can do it no matter what. They’re there to support you. It doesn’t matter if it works or it doesn’t. The biggest thing that my wife has done is say, “We’ll figure it. You’ll figure it out.” That’s as much of motivation that I personally needed. I can’t thank her enough, to be honest. Your daughter too, when she is 30 and someone asks her, “What’s your dad like?” What do you hope that you’re leading and building and creating that she would ultimately say? What’s the number one value you hope to instill in your daughter? Empathy is a big one. Loyalty, kindness, perseverance, there are lots. It’s hard to think of one but understanding other people and empathizing with other people is a big one. I had this big afro and I wore these glasses. I thought in my head I was cool. I wasn’t but I was like this ghetto Harry Potter. That’s probably the best description. What are one to three action steps you hope our audience will take as a result of our conversation? Number one, understand where you are in your business. Number two, make sure that wherever you are in your business, make sure that you truly love it. You truly want to keep building that business because it’s the biggest thing. Number three, once you do know where you are, once you know that this is the business you want to build, keep moving forward. Don’t stop for anything. I encourage you to take action with what Mikael’s been sharing with you. Go check out what he’s got going on at Funnelytics.io. It’s been an incredible honor, a privilege to have you with us. Thank you so much for having me. I hope everyone got some great value and some insight. I want to encourage you to take action with what Mikael shared with you. Identify where you’re at with your business. Hone in with what you truly love and then keep moving. If you never want to miss an episode, go to GrowthToFreedom.com/subscribe. Seize the day. Make it a great week. We’ll see you next time on GrowthToFreedom.com. 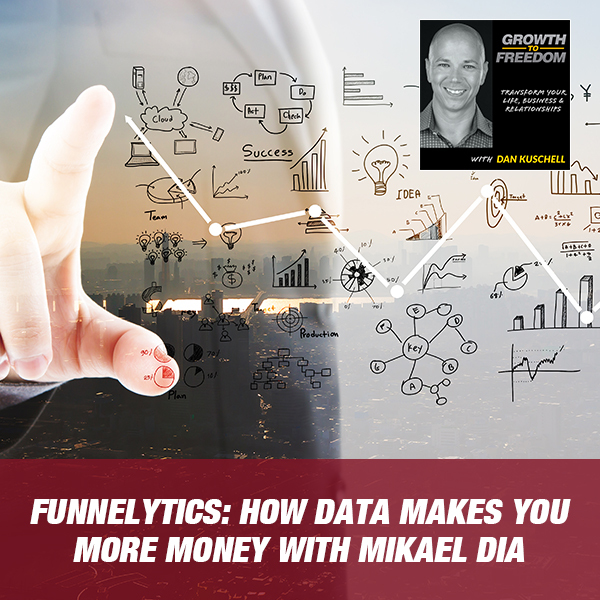 Mikael Dia is a digital marketing expert and founder of Funnelytics, a software company helping entrepreneurs and marketers convert traffic into profit. 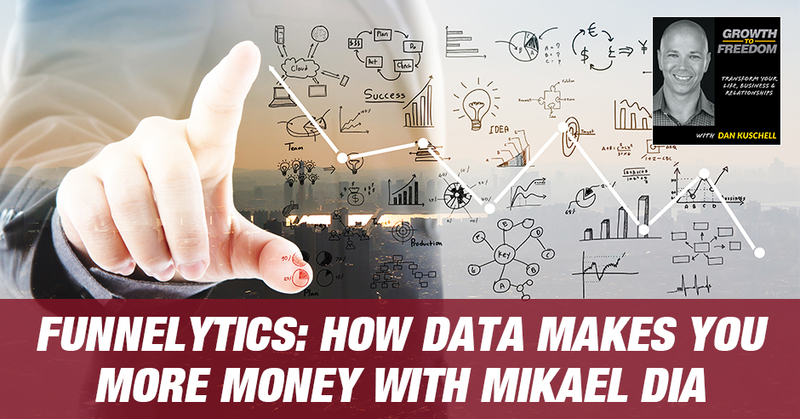 A serial entrepreneur who scaled several businesses to seven figures and beyond, Mikael is passionate about helping entrepreneurs understand their numbers so they can get better results from their marketing efforts.